Star Seed - Souls having lived or originated on other planets, other galaxies, on spacecraft, or in other dimensions and interlocking world spaces, who have volunteered to assist in bringing in the New Age of Reason and assist Earth through her next phase of evolution. They inhabit their human body from its birth. Some are born knowing their identity and purpose, others are to be activated, or wake up, at a later time. The timing of the moment of birth is deliberate. Souls agreeing to come to Earth together find corresponding genetics that fit their soul's mission. A lot of experiments have been put in motion through bloodlines just for this purpose, in order to house the star seed operation. There are many variations of these experiments with star seed, and there are many combinations of astrological star codings, from planet placement to blood/genetic requirements, to match galactic agendas. One may have astrological markings through star seed codes, but without the bloodline to enhance the markings, it gets more difficult for a star seed to resonate to galactic agenda, but not impossible. Star Seed are programmed, so to speak, to aid in the activation of their brothers and sisters in collective advancement through moral, ethical and mental/spiritual guidance. 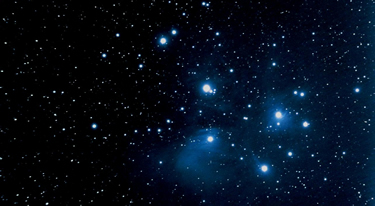 When a star seed is called upon to gather in "unison of purpose," that is when others seem to witness miracles or magic in motion, because of their combined galactic heritage. Most star seed that are truly activated from all levels seem to hold their optimism about the missions that they have chosen. Another trait of star seed is to totally rejuvenate their bodies through meditation or other modes of healing. Others not yet activated into their knowing can and do turn sometimes to darker agendas of behavior. True power of star seed comes from knowing their total journey. There seems to be a constant among star seed, which is that a guidance system seems to oversee their stay on Earth and assist when truly needed. Walk-Ins - Advanced souls choosing to volunteer, through a combination of galactic agendas, to assist Earth through her next stage of evolution. They do not go through the birth process; they trade places with someone already in human form through a prearranged agreement with that soul. If a Star Seed or Light Worker have no other way to complete their soul mission, then they might agree to leave the body and make a trade with a Walk-In. Many advanced galactic civilizations have used these Walk-In experiments at the pinnacle of evolutionary change in order to match celestial agendas. This is not to be confused with being possessed of spirit, that is another matter all together. These Walk-Ins that are being placed in human form are guided in deliberate fashion and in accordance with "free will" at cosmic levels of agreements. Lightworkers - Advanced souls originating on Earth, who have evolved to the point of developing special abilities and talents, which are needed for elevating the planet and her inhabitants. They were born to the body they occupy. They seem to be drawn to Star Seed missions and want to be involved with their agendas. They are the angelic worker bees of mission control. Many will choose to have astrological star codings, although they will not be star seed, but by frequency they seem to resonate to healthy lifestyles and empower mental, moral, ethical, spiritual behavior wherever they go. Their home is the Earth and they want to keep it sustainable for all forms of life. When their mission is through, they will be returning to Earth; not to the stars. Both their astrological and blood codings will match every time, no exceptions. Indigos also have the ability to pick up signals from ET beacons, such as the one found by Russian cosmonaut Yuri Gagarin and American Alan Shephard during 1961 referred to as "postcards from the rim". These ET beacons emit both light and tone signals, along with a mathematical language, which can translate like a 3D film of the Galaxy. Many monoliths are out in space, devised by a group of ET races, and now Indigos seem to resonate to their intergalactic messages.